Before I go any further, it's plain to see that I only did a very light pressing of this fitting garment...a full press was not necessary for me to evaluate any broad fitting issues. Had the garment fit better, I would have given it a proper press and done another fitting. This shirt is a size X-large, straight from the tracing, without any changes. Now a few words about my ever patient model. Roger is 6' tall, about 178 pounds, and wears a size 15-1/2 neck, 34-35 sleeve sized shirt "off the shelf" from a store. He has a long torso. Interestingly, the shirt fit perfectly at the neck, and the shoulder length was good. The fit through the chest was close, but with enough ease for him to reach forward and back without straining the fabric. Also, the sleeves were a perfect length. They may look long in the photo, but that is because I forgot to trim the seam allowance from the single-layer cuff...sorry about that. But take my word for it, the sleeve length is perfect. But unfortunately that is where "perfect" ends. As you can see in the photo above, there is a drag line at the armscye, and the sleeve is twisting. It was twisting more before I fiddled with a a bit for the first photo. But my fiddling was futile (lol), as you can see in this next photo, showing the shirt from the back. Talk about major fit issues ! ..and such a shame when the neck fits so well...sigh. First of all, the yoke is not deep enough for a man of Roger's height, as you can see from the drag lines. The sleeve is twisting because the armscye is not deep enough, and the curve of the armsyce is wrong for the width of Roger's upper back. 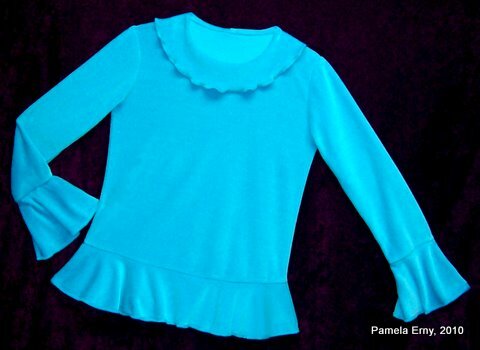 These problems can be resolved by redrafting the yoke and reshaping the armscye, redrafting the sleeve to reflect those changes, and then making more fitting muslins to check the changes. Am I going to bother doing that? No. Why? Because I already have several shirt drafts that fit him perfectly. I also will not use this book to make shirts for my clients...unless they are very slight men. 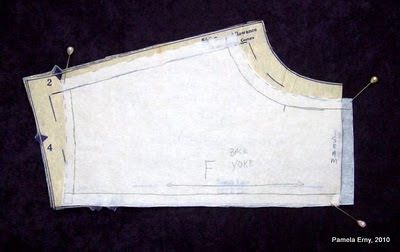 And even then, quite frankly it is easier for me to just hand-draft a pattern from scratch using their measurements. What I might do is use some of the collar-stands, collars, cuffs, and pockets from this book, altering them a bit for size to use on my hand-drafted styles. But again, it is easier to draft my own than to "retro-fit" another designer's draft. 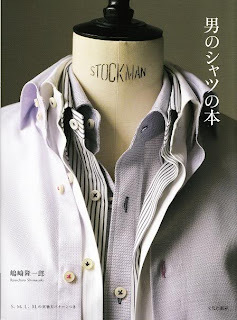 And after comparing the collar style, stand, cuff, etc options in this book to David Coffin's book "Shirtmaking"...well, if you have David's book there really is nothing much new to be found in this Japanese book. So...should you buy this book? Well, I bought it because I am a collector of books on menswear pattern-making. Perhaps if I read Japanese, I would be able to get more from this book. The sewing-sequence diagrams are good, but a bit confusing since for 20+ years I've been professionally constructing shirts differently. There are no "A-Hah!" moments regarding collar construction, etc, in this book. So for me, it's just nice to have among my collection of menswear sewing books. However it's not one I am likely to use often, if ever again. No doubt others who have this book will have different opinions. But for me this book will likely remain a novelty and nothing more...it's going back on the bookshelf as soon as I finish editing this post. Having just spent an hour studying the dizzying sheet of traceable patterns and comparing them to various American shirt drafts, I have made some discoveries. First of all, the Japanese Extra-large size in this book seems to compare to a close-fitting 15/15-1/2 neck Medium size American draft. Secondly, the seam allowances vary in width from a bit less than 1 cm to about 1.5 cm. 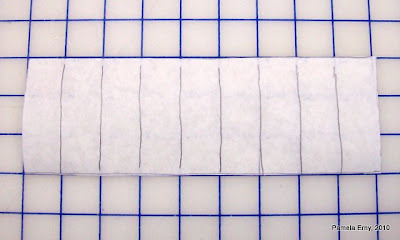 By studying the drafts and the very precise sewing instruction diagrams, these variances eliminate the trimming we are used to doing after stitching when using American patterns. The seam allowances of these patterns may frustrate me a little bit, because when I draft my own patterns I use different seam allowance measurements. 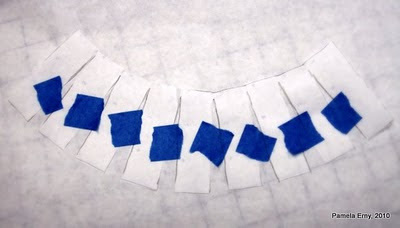 In fact, my first inclination was to just trace the pieces on the stitching line, and add on my own seam allowances. However, I am going to trace these "as is", so I can truly evaluate the entire sewing method of this book. Here is the Extra-Large Japanese Yoke laid over a Medium Yoke from an American pattern that fits a bit loosely. 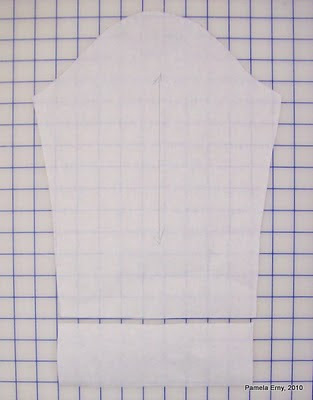 I am encouraged that the Japanese draft has the same shoulder slope as the American pattern, and that it is only scant 1/2" shorter in the shoulder length....because when this American pattern is sewn, the shoulders drop slightly. The back width of the Japanese pattern is almost exactly the same as the American pattern at the point where the bottom of the Yoke meets the Shirt-Back. 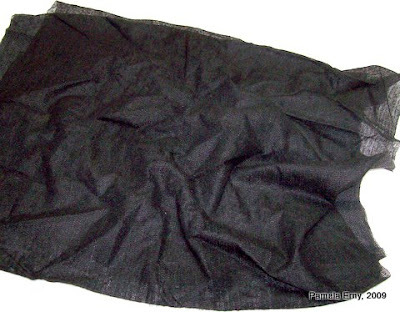 Note that the Japanese yoke has a center-back seam, and the American pattern does not. That is why you see the white Japanese Yoke pattern extending beyond the American Yoke pattern at Center-Back. 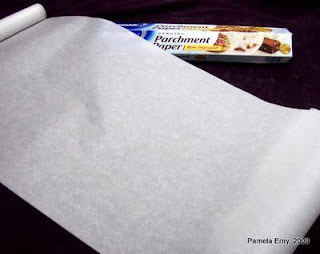 So here is my plan: Within the next day or so, I plan to trace an Extra-Large size pattern, then cut and stitch together a quick "fitting" muslin. That way I can give you accurate "finished" measurements of the neck-edge, body circumference, and sleeve length. 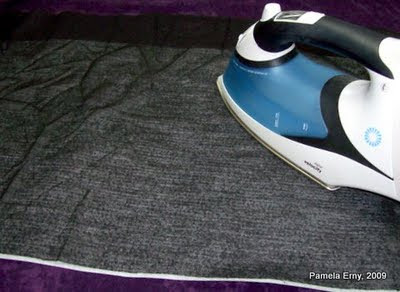 If the draft is true and accurate (if all the parts fit together well), I'll be going on to make a wearable shirt...along with showing you how to enlarge the pattern for bigger sizes. If not, well there are some nifty collar and cuff shapes that I can re-size and use for my hand-drafted patterns, so the purchase of the book will not be a total loss. But now, I am going to start to trace the pattern then sew the muslin...with a positive attitude!